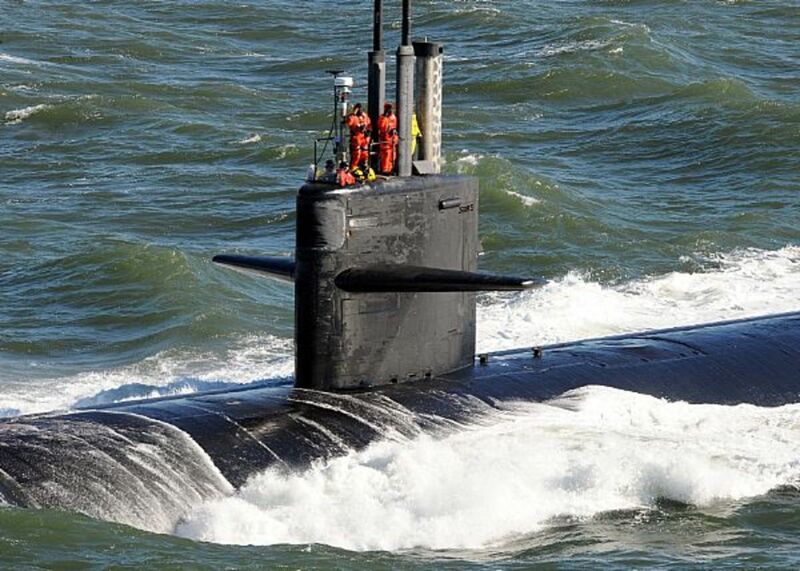 Stealthy and deadly, submarines have become a key element of naval warfare since World War I. Sailing these underwater ninjas requires a unique breed of sailor capable of enduring long periods in cramped quarters deep beneath the ocean's surface. 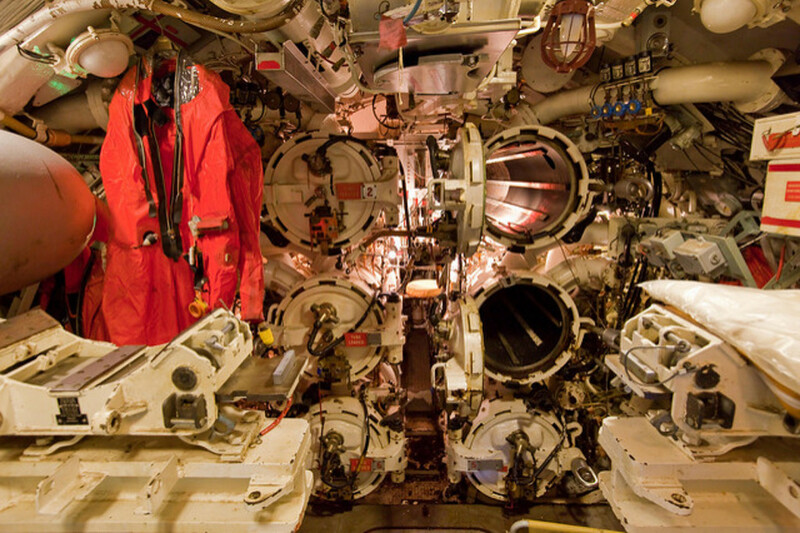 Touring a submarine offers you a glimpse into history and a submariner's life under the sea. 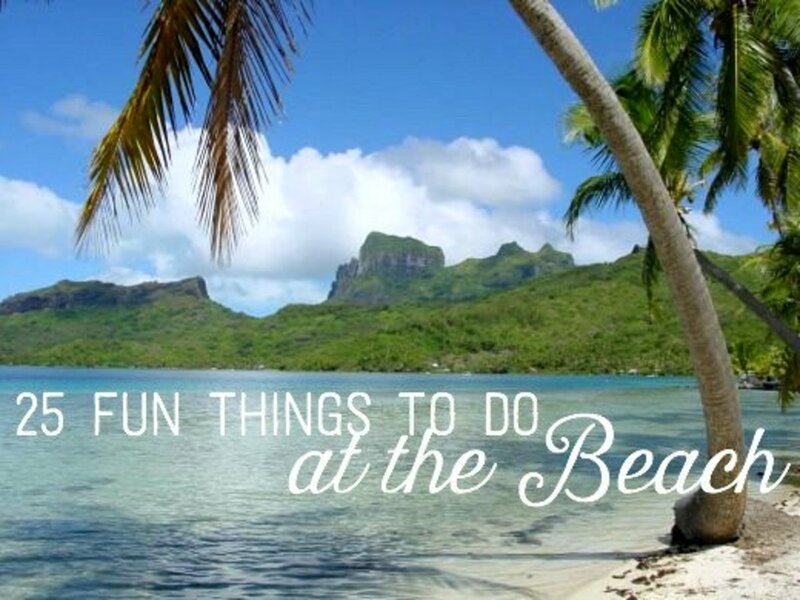 It's a fun and educational activity the whole family can enjoy. 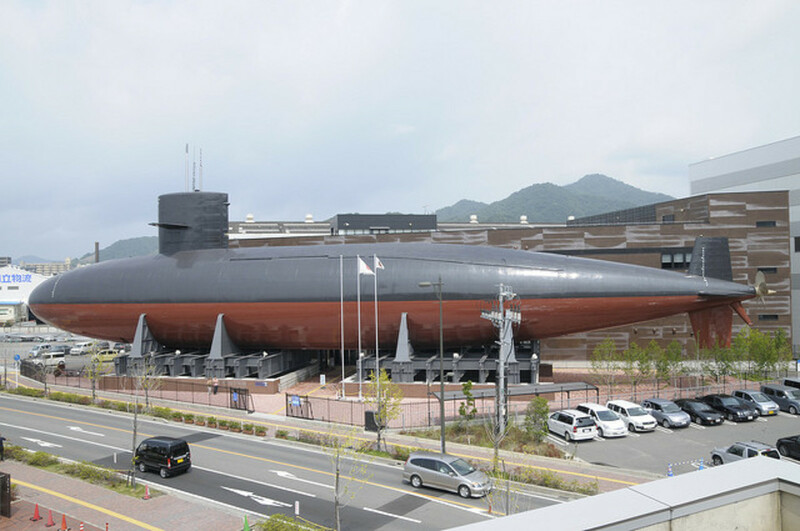 Here you will find information on submarine museums around the world that you can visit and tour. The USS Torsk was launched in 1944 and operated off the Japanese coast where she was credited with the last sinking of a Japanese combat ship in World War II. She went on to serve as a training ship and other operations including the 1962 naval blockade of Cuba. She is now open for the public to tour in Baltimore's Inner Harbor. The USS Cod is a Gato class submarine commissioned in 1943. She conducted seven patrols during World War II and is credited with sinking at least 12 enemy vessels. 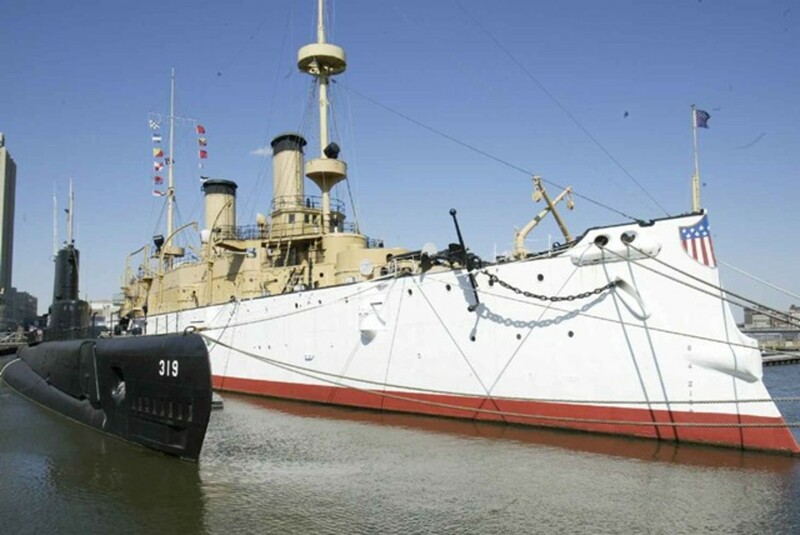 You can tour the Cod on the shore of Lake Erie in Cleveland, Ohio, where she has been a museum ship since 1976. When launched in 1954, the USS Nautilus became the world's first nuclear powered submarine. In 1958 she became the first ship of any kind to cross the geographic North Pole. In 1986 she opened to the public as the main exhibit of the Submarine Force Library & Museum in Groton, Connecticut. Admission is free. The Batfish was launched in 1943 and served in the Pacific during World War II. In addition to sinking several enemy surface vessels, she sank three Japanese submarines during her 7 war patrols. The sub was decommissioned in 1969 and is now the featured exhibit of the USS Batfish War Memorial Park and Museum in Muskogee, Oklahoma. The Albacore was the first Navy submarine built solely for underwater performance. Her teardrop shaped hull was revolutionary when she was commissioned in 1953 and became the standard for submarine design. During her 19 year career, she was used to test and evaluate many advances in submarine system designs. She's now a museum at Albacore Park in Portsmouth, New Hampshire. The museum's website is one of the best for quantity of information and photos. The Growler was commissioned in 1958 as one of the first guided cruise missile submarines. 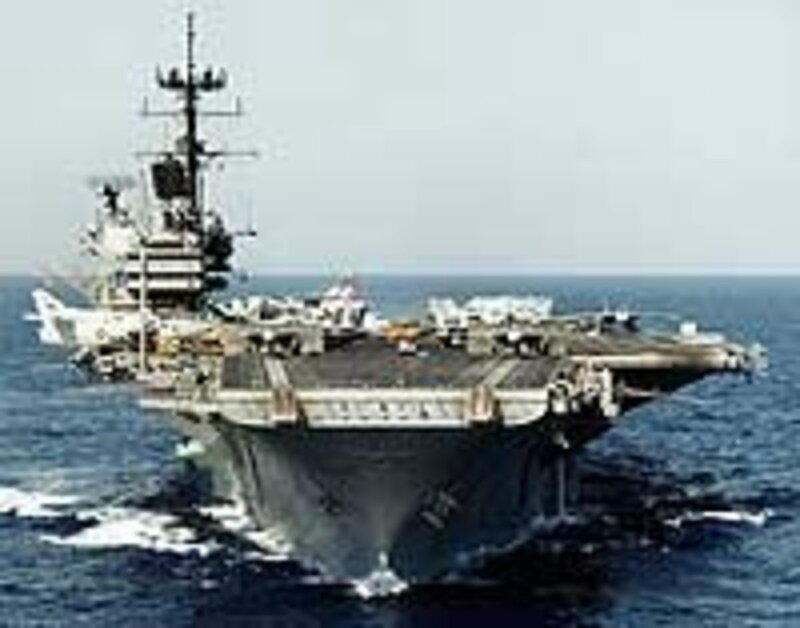 She served in the Pacific Ocean as a nuclear deterrent during the Cold War. Due to her diesel power limitations and inability to launch while submerged, the Growler was decommissioned in 1965 as the nuclear powered submarines entered service. She is now available to tour at the Intrepid Sea, Air and Space Museum in New York City, New York. Commissioned in early 1944, the Cobia is a Gato class sub that served in the Pacific theater during World War II. She sank thirteen Japanese vessels during the war. 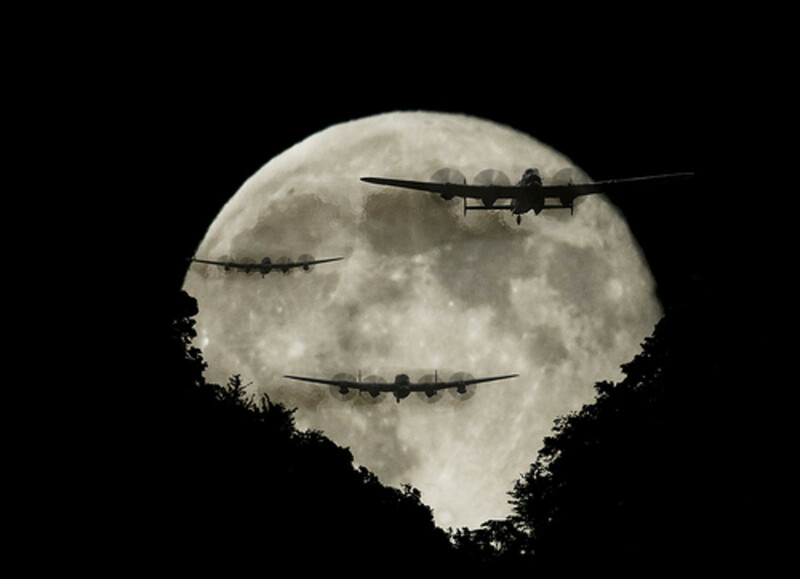 The most famous was a troop transport carrying a tank regiment and its 28 tanks to reinforce Iwo Jima. After the war Cobia served as a training vessel and was decommissioned in 1970. She is now open for touring at the Wisconsin Maritime Museum in Manitowoc, Wisconsin. Originally launched in 1944 as a Balao class sub, the Becuna served in the Pacific during WWII where she earned four battle stars. In 1951, Becuna was converted to a GUPPY IA and continued to serve until 1969. She is now part of the Independence Seaport Museum in Philadelphia, Pennsylvania. U-505 is a Type IXC U-boat that was commissioned in 1941 and served in World War II. She was captured on her twelfth patrol in June, 1944, by a US Navy anti-submarine Task Group led by the USS Guadalcanal. In 1954, U-505 became a war memorial to all sailors lost in the Battle of the Atlantic and a permanent exhibit at the Museum of Science and Industry in Chicago, Illinois. 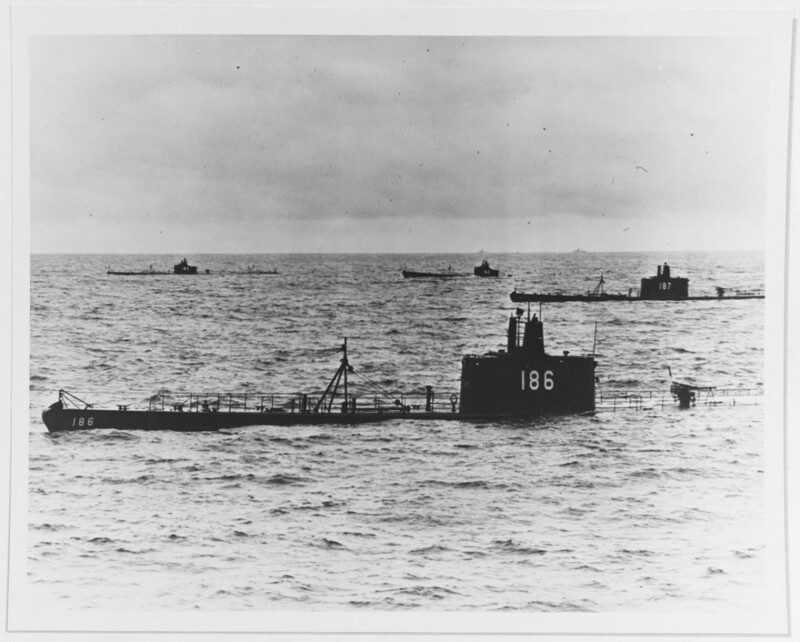 The Ling is a Balao class sub commissioned in June, 1945, right at the end of World War II. Much of her career was spent in the reserve fleet and later as a training ship. She was decommissioned in 1971 and is available for tours at the New Jersey Naval Museum in Hackensack, New Jersey. The museum also has a WWII German Seahund 2 man patrol sub and a Japanese Kaiten II 2 man sub designed for suicide missions. The Requin is a Tench class sub commissioned in 1945. After World War II, she was converted into the US Navy's first radar picket submarine. Most of her career was spent in the Atlantic and Mediterranean, including exercises above the Arctic Circle. The Requin was decommissioned in 1968 and began her second life as a museum, first in Tampa and now in Pittsburgh, Pennsylvania, at the Carnegie Science Center. Commissioned a week after the attack on Pearl Harbor, the Silversides sunk the third highest number of enemy ships (23) during World War II. She was issued twelve battle stars and four Presidential Unit Citations. Silversides also rescued two downed pilots during the war and is now available to tour at the USS Silversides Submarine Museum in Muskegon, Michigan. The Clamagore entered service in June, 1945, and operated in the Caribbean, Mediterranean and North Atlantic until decommissioned in 1975. She underwent a GUPPY III conversion in 1962 which added 15 feet to her length. Clamagore is open for tours at the Patriots Point Naval and Maritime Museum alongside the USS Yorktown at Charleston Harbor, South Carolina. The Drum entered service in late 1941. She served in the Pacific theater during WWII and completed 13 war patrols, sinking 15 enemy vessels and earning 12 battle stars. You can tour her and the Battleship Alabama at the USS Alabama Memorial Park in Mobile, Alabama. Have You Served On A Submarine? This Balao class submarine was launched exactly one year after the Pearl Harbor attack and served in World War II. Bowfin also served as a Naval Reserve training vessel from 1960 to 1971 when she was decommissioned. 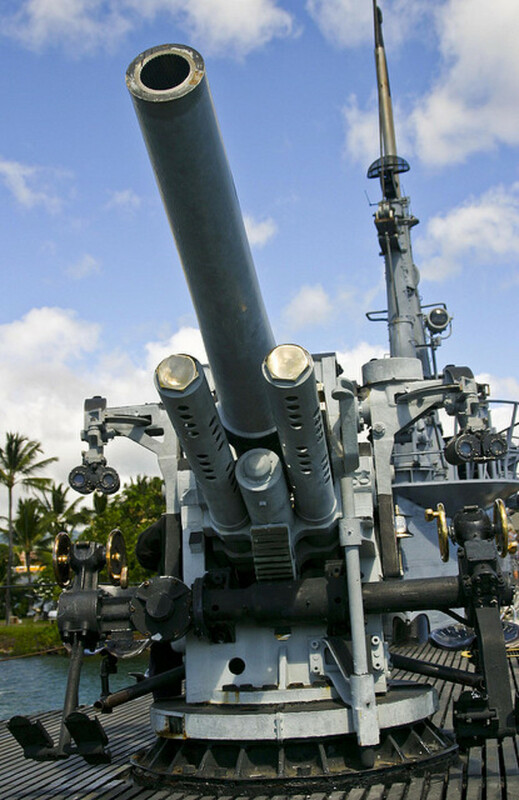 She is now available to tour at the USS Bowfin Submarine Museum & Park in Pearl Harbor, Honolulu, Hawaii. This Soviet Foxtrot class sub was commissioned in 1967 and served in the Soviet Pacific fleet. She was decommissioned in 1994 and eventually found her way to San Diego where you can tour her at the San Diego Maritime Museum. Dolphin was the US Navy's deep diving, research and development submarine for nearly forty years. A unique diesel-electric sub that performed a record dive of 3000 ft, she tested many of the Navy's sonar, communications and torpedo firing systems. Dolphin was decommissioned in 2007 and is now part of the San Diego Maritime Museum. B-427 is another Soviet Foxtrot that was commissioned in 1971 and served in the Soviet Union's Pacific fleet during the Cold War. She was decommissioned in 1994 and is now alongside the Queen Mary serving as a museum ship in Long Beach, California. Pampanito is a Balao class submarine that was launched in 1943 and sank 6 Japanese vessels during World War II. She served as a Naval Reserve training vessel from 1962 to 1971 and has been a museum ship since 1982. In 1995, Pampanito starred in the movie, Down Periscope. She is open to the public at Pier 45, Fisherman's Wharf in San Francisco, California. Launched in 1959, the Blueback is a Barbel class submarine, the last diesel-electric subs built by the United States and the first subs to use a teardrop shape. She served in the Pacific and earned two battle stars during the Vietnam War. Her decommissioning in 1990 marked the last non-nuclear powered submarine to leave the fleet. Blueback appeared in the TV show, Hawaii Five-O, and the movie, The Hunt for Red October. You can tour her at the Oregon Museum of Science and Industry in Portland, Oregon. Launched in 1962, the HMS Ocelot is a diesel electric submarine and the last built at Chatham Dockyard. 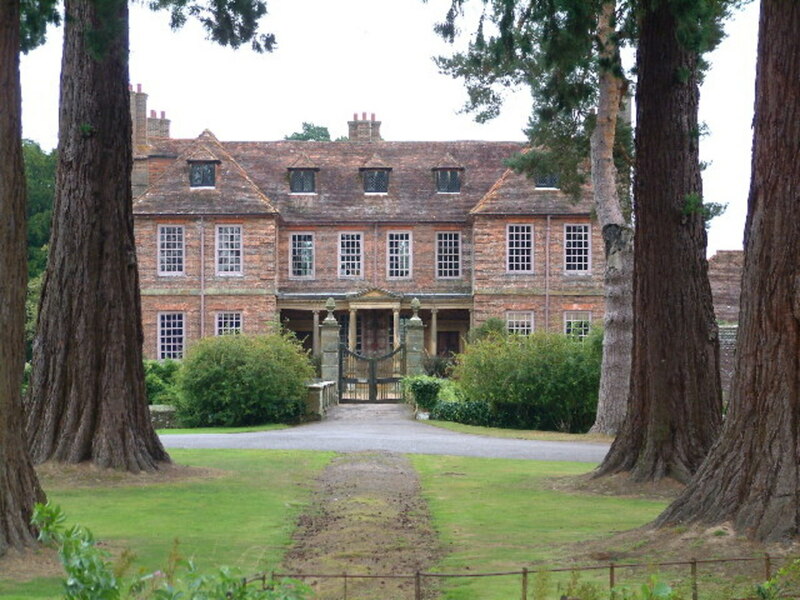 She served until 1991. You can take a guided tour of her at The Historic Dockyard in Chatham, Kent, England. U-534 is a Type IXC U-boat built in 1942. She is most famous for refusing the surrender orders issued by German Admiral Dönitz in May, 1945. RAF aircraft located the sub and sank her. The wreckage was raised in 1993 and is now open to tour at the Woodside Ferry Terminal, Woodside, Birkenhead, Merseyside, England. The Alliance was commissioned in 1947 and is the only surviving member of the Royal Navy's A-class of submarines. These subs were specially designed for long range cruises in the Pacific Ocean. In 1981 she began service as a museum and memorial to lost British submariners at the Royal Navy Submarine Museum in Gosport, England. Launched in 1901, the Holland 1 was Great Britain's first commissioned submarine. She was decommissioned in 1913 and sank while being towed to the breakers yard. Her wreck was located in 1981 and recovered a year later. She is now on display at the Royal Navy Submarine Museum in Gosport, England. X24 is the only remaining British X class midget submarine. Built during World War II and designed for commando missions, the sub is 51 feet long and powered by the same diesel engine used by London buses. She is now at the Royal Navy Submarine Museum in Gosport, England. 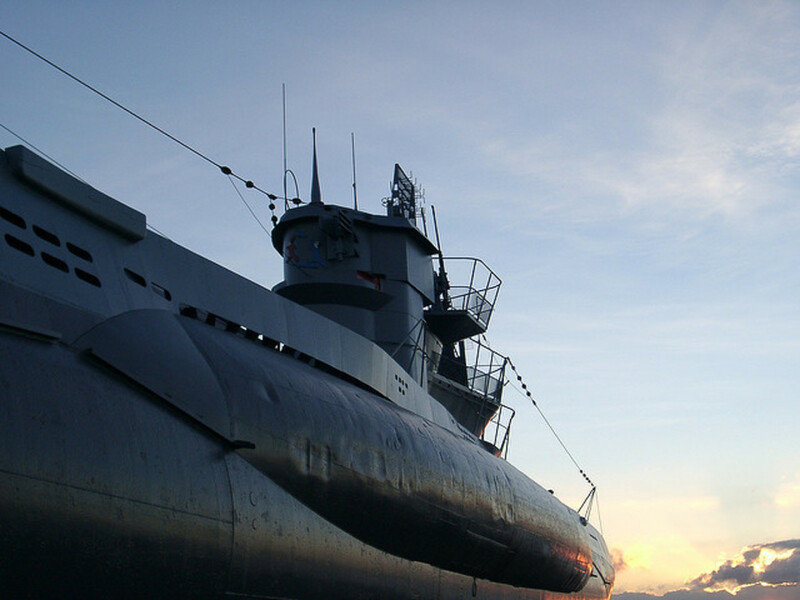 Most submarine museums are owned and maintained by non-profit organizations. These ships require a lot of work and money to restore and maintain. Please remember that your admission ticket only covers a portion of these costs. There is usually a donation box on site or you can find donor information on the sub's website. These organizations also depend on volunteers to help perform maintenance and/or guide tours. If you have experience working on ships or just want to help keep history alive, then consider volunteering. Check the website of the sub you're interested in or ask when you visit for more information. U-995 is a Type VIIC/41 U-boat commissioned in 1943 and is the only known remaining Type VII boat. She completed 9 patrols during WWII sinking 6 ships and boats. She was in port at the end of the war, surrendered to the British and eventually ended up in the Norwegian navy renamed the Kaura. In 1965, she was decommissioned and returned to the (West) German government. She opened in 1972 as a museum at the Laboe Naval Memorial in Laboe, Schleswig-Holstein, Germany. U-2540 was commissioned in 1945 and is the only Type XXI U-boat remaining. One of the most technologically advanced subs of her time, she was scuttled by her crew before the end of WWII and eventually salvaged in 1957. She was renamed the Wilhelm Bauer and used as a research vessel for the remainder of her career. You can tour her at the German Maritime Museum (Deutsches Schiffahrtsmuseum) in Bremerhaven, Germany. This diesel powered Foxtrot class submarine was launched in 1968 and served in the Soviet Northern and Russian Baltic Fleets. She was decommissioned in 1999 and is now part of the Museum of the World Ocean in Kaliningrad, Russia. The B-396 is a Tango class submarine that served in the navy from 1980 to 2000. 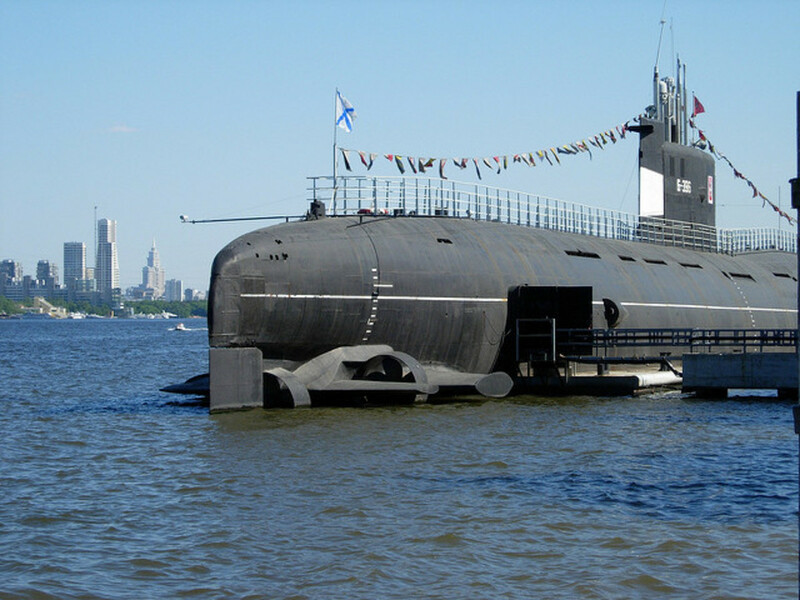 She has served as a museum since 2003 and is located at the Tushino reservoir in the Museum of Submarine Navy/Moscow Navy Museum in Moscow, Russia. The D-2 is a Soviet Dekabrist class submarine that entered service in 1931. She served in World War II and was later used as a training ship until 1987. You can take a guided tour of D-2 in St. Petersburg, Russia. The Akishio is a diesel electric Yushio class sub commissioned in 1986. She served in the Japan Maritime Self-Defense Force until 2003 when she became an exhibit at the JMSDF Kure Museum in Kure, Japan. The Kursura is a Soviet built Foxtrot class submarine. She was commissioned in 1969 and joined the Indian navy in 1970 where she was in service for 31 years. She now serves as a museum at Ramakrishna Beach, Visakhapatnam, India. 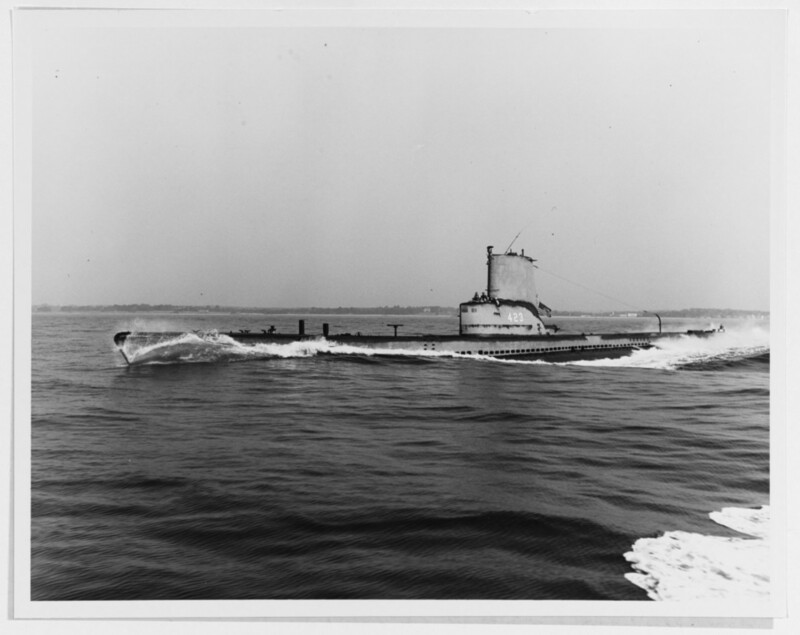 This Tench class submarine was commissioned in 1944 as the USS Thornback (SS-418). She saw action off the coast of Japan in World War II and joined the Atlantic Reserve Fleet after the war. In 1971 she was transferred to Turkey and renamed TCG Uluçalireis (S-338). She served in the Turkish Navy until her decommissioning in 2000. You can tour this sub at the Rahmi M Koç Museum on the Golden Horn in Instanbul, Turkey. The Onslow is an Oberon class sub launched in 1968. Her stealth missions included tracking Soviet submarines and serving as an opposing force sub during war games. In one war game exercise Onslow conducted "attacks" and "sank" 7 surface vessels! She was decommissioned in 1999 and is now an exhibit at the Australian National Maritime Museum in Darling Harbor, Sydney, Australia. The Ovens is another Oberon class sub that was commissioned in 1969 and served during the Cold War. 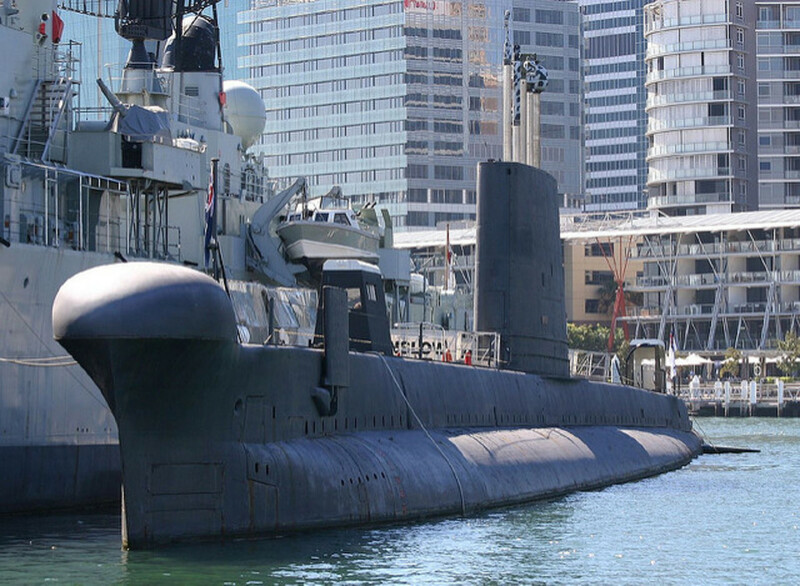 She was decommissioned in 1995 and became the first submarine museum ship in Australia. You can tour her at the Western Australia Maritime Museum in Fremantle, Western Australia. The Redoutable was France's first nuclear ballistic missile submarine. She was launched in 1967 and decommissioned in 1991. In 2002 she opened as the largest tour-able submarine in the world at Cité de la mer ("city of the sea") in Cherbourg, France. Launched in 1958, the diesel powered Argonaute served over 20 years as the flagship of France's Toulon submarine squadron. She was decommissioned in 1982 and opened in 1991 as an exhibit at the Cité des sciences et de l'industrie in Paris, France. After visiting a few subs, take a tour of other historic ships in port. Below are lists of different types of museum ships that you can tour. USS Hawaii (SSN-776) in the public domain at the US Navy News Service. USS Newport News (SSN 750) in the public domain at the US Navy News Service. USS Torsk (SS-423) in the public domain at the US Naval Historical Center. USS Bowfin Deck Gun used under Creative Commons from Varin Tsai. HMS Ocelot used under Creative Commons from alh1. USS Stingray (SS-186) in the public domain at the US Naval Historical Center. U995 at Sunset used under Creative Commons from pradig. B-396 Novosibirskiy komsomolets used under Creative Commons from SergeyRod. Akishio used by permission of yuichi.sakuraba. HMAS Onslow used by permission of Mark Dowsett. Le Redoutable used under Creative Commons from Jesper Wiking. 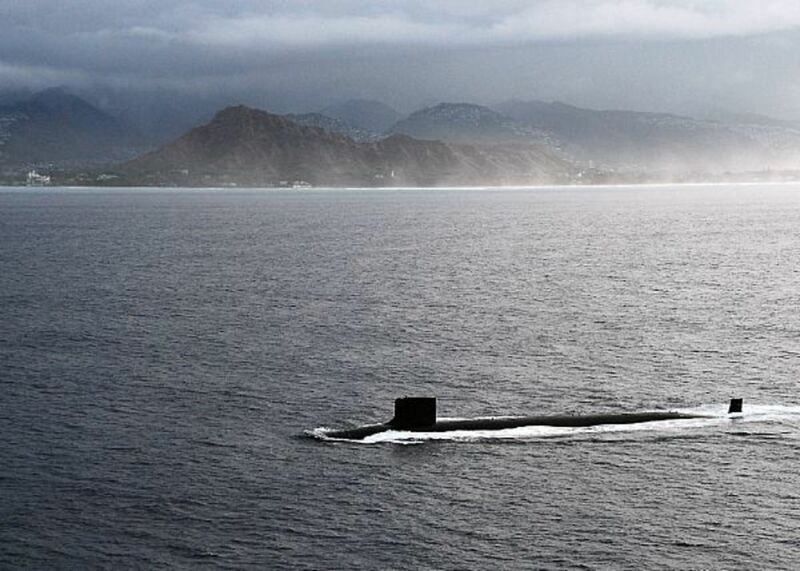 Have you toured or served on a sub? What do you think of these stealthy ships? Please leave a comment below. Nice lens. I would also report another submarine which I visited several years ago. This is the Russian submarine U480 Foxtrot docked in the port of Zeebrugge, Belgium. I understand it is still open. Thanks for the interesting lens like the other involving the "floating museum". @anonymous: Thanks! I just added the USS Drum to the list. We Just Toured The USS Drum ToDay In Mobile, Alabama. It Is In The Same ParK As The USS Alabama. My love affair with subs started when I read 20,000 Leagues Under the Sea sometime while I was in high school, if I recall correctly. I read the book 10 times. I only read one other book that many times. I would have liked to be aboard the Nautilus for awhile because it had a pipe organ. :) Since that time, I have always been fascinated by subs. One of my favorite movies ever, and one of the few I remember much about, was The Hunt for Red October. At the time, I had learned a fair amount of Russian, and was interested in thinking about ways to defeat the Soviet Union, and that also played into my liking the movie. In addition to the story itself, a selling point with me was one of the actors. I also read the novel. It is rare for me to do both. There is a WWII sub at battleship cove in New Bedford MA. It is part of the same exhibit that has the USS Massachusetts. @anonymous: Thanks, added USS Clamagore to the list. You can tour the USS Clamagore (SS-343) at Patriot's Point in Mount Pleasant, SC across the river from historic Charleston, SC. While you're there, you can also tour the USS Yorktown (CV-10) a WW II aircraft carrier, and the USS Laffey (DD-724) a destroyer which both supported the Normandy D-Day landings, and later served in the Pacific theater. As a Jr High student in the late 60's/early 70's we took a school tour to Philadelphia and toured a Submarine at or near Penn's landing. I recently toured the U-505 in Chicago which seemed to be much more spacious and asked the guide. He asked what class that sub would have been so I tried to look it up. Clearly it was not the Bacuna, which is there now so I am wondering what happened to the sub i would have toured and what class it was. Any help appreciated. Missing the SS-581, USS Blueback, in Portland, OR. @anonymous: Thanks for the info, I've added USS Silversides to the list. @anonymous: Um, advanced stealth technology? Thanks for reporting it missing, I've added USS Pampanito to the list. I visited USS Pampanito in San Francisco in 1999. Is there a reason that it is not in this list? The subs today are very roomy compared to the older diesel electric. @InfernalCombust: The Nautilus is not a good example of today's submarines. While they are still cramped. They have made them a little more comfortable. I've toured the Nautilus and the Albacore. My dad used to work in a Navy Yard, too, and his job was cleaning out the torpedo tubes. He used to talk about wanting to build a submarine out of a propane tank. I find submarines fascinating and a little scary - don't think I'm cut out to do a tour on one, but I love learning about them. I toured a USSR foxtot sub about 20 years ago in Seattle or Vancouver, can't remember which. I just remember it being very confining and claustrophobic! @anonymous: Thanks for the tip, Sara! I've added the Requin to the list. This list is missing the USS Requin (SS-481) in Pittsburgh, PA, which serves as an exhibit to the Carnegie Science Center. Not just anyone can serve on a Submarine...you must pass a rigid psychological, and physical test to determine is you are fit and commpatible for such duty. 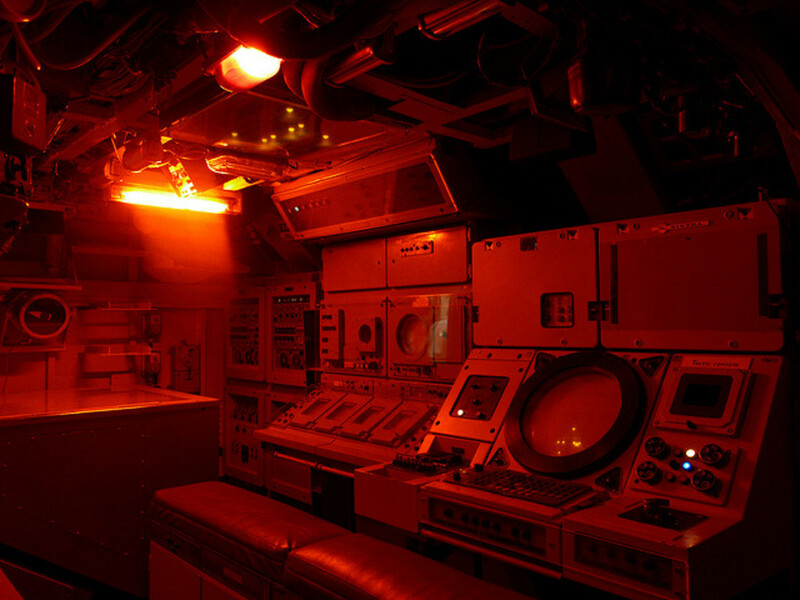 When I was in Tampa, Florida back in the 80's I toured a submarine. @ShamanicShift: Thanks! I'd like to tour that one next time I'm in Chicago. I toured the U-Boat at the Chicago Museum of Science and Industry -- the story of how it got there is amazing too -- great submarine suggestions and resources here -- blessed by a SquidAngel! @anonymous: Thanks for the tip! I've added the Becuna in Philly and U-505 to the list. Great site! There is a sub in Philly PA and U505 in Chicago that are not mentioned. @anonymous: Chris, thanks for the info. Is the sub in Folkeston now? U-475 used to be in Folkeston Harbour but the latest info I found was that the sub's been moored in River Medway for several years awaiting a new home. Hope they find one soon. you might like to add the russain submarine in folkstone harbour to that list she is an old alfa class moored next to the ferry terminal and well worth a visit if anyone is interested. I'm hooked on submarines (and submarine movies). I'd love to tour one of these. Thanks for this resource.